Age-related macular degeneration (AMD) is one of the most common causes of vision loss in Americans over 50 years of age and is frequently treated by eye doctors in Chicago. If you’ve been diagnosed with this condition or think that you may be at risk, read on to learn more about AMD. Age-related macular degeneration affects the macula, which is at the back of the eye in the center of the retina. AMD can cause slow or rapid vision loss but rarely leads to total blindness. Dry AMD usually progresses slowly and is the most common form of this condition. This type of AMD stops the flow of nutrients to the cells in the macula which process light, resulting in cell death. Wet AMD tends to progress quickly and results in more serious vision loss. With this type of AMD, abnormal blood cells grow beneath the retina and break open, resulting in vision impairment. It’s possible for the signs of AMD to manifest only once the disease has progressed. 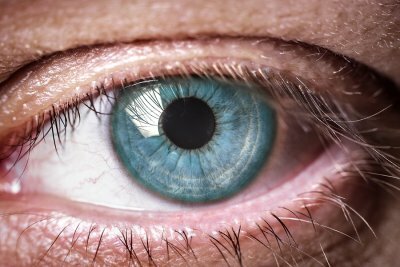 AMD sufferers can experience symptoms that include difficulty seeing in low light, seeing straight lines as blurry or wavy, trouble seeing in the center of vision, and changes in the appearance of colors. Visit an eye care specialist if you experience any of these symptoms. For patients diagnosed with dry AMD, vitamin supplementation is the current form of treatment. Research has shown that in certain combinations, vitamins can slow AMD’s progression in some patients. Treatment for wet AMD focuses on preventing the growth and decreasing the leakage from the abnormal blood vessels. Laser procedures are sometimes used, but anti-vascular endothelial growth factor drugs are the standard treatment. These medications are injected into the eye by an ophthalmologist. The eye is numbed beforehand, and the injections must be administered several times over the period of treatment. Your eye doctor may also recommend that you speak with your primary care physician about developing an exercise plan and making dietary changes that support a healthy lifestyle.